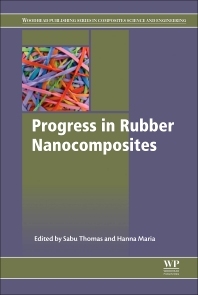 Progress in Rubber Nanocomposites provides an up-to-date review on the latest advances and developments in the field of rubber nanocomposites. It is intended to serve as a one-stop reference resource to showcase important research accomplishments in the area of rubber nanocomposites, with particular emphasis on the use of nanofillers. Chapters discuss major progress in the field and provide scope for further developments that will have an impact in the industrial research area. Global leaders and researchers from industry, academia, government, and private research institutions contribute valuable information.